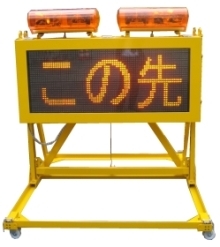 The display system sends accident information and under-repair notice etc. for drivers' safety and security. 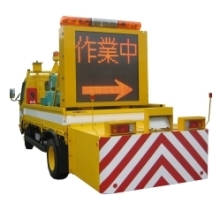 Our products are supporting the drivers' safety and security and performing well both on highways and ordinary roads. 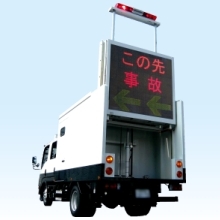 The display system is mounted on the car roof, and reminds the drivers of alerting road information. 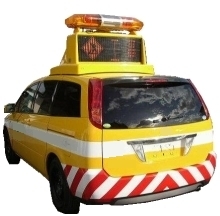 The system is mountable to special-purpose cars according to the usage. 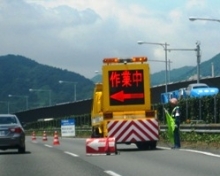 The panel is put on the road and displays regulatory information and warnings.